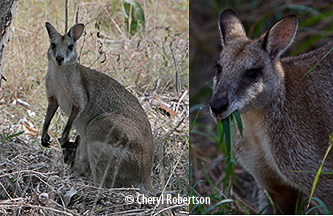 These wallabies are frequently seen on campus, particularly in the early morning or late evening and as ‘road-kill. 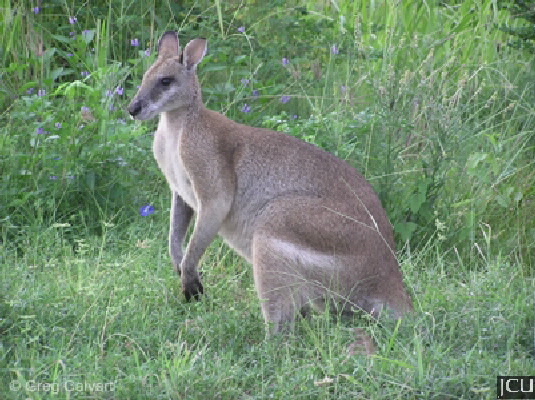 These attractive wallabies have a yellowish-brown body, which may have an orange tinge, the outer edge of the ears is dark brown to black. 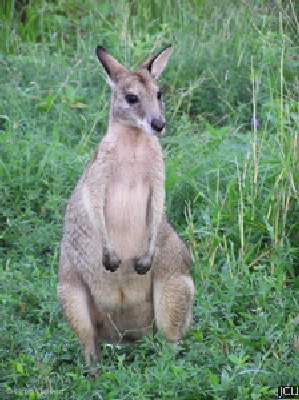 Feed on grasses, roots, fruits.